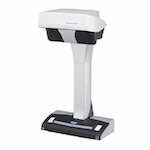 Whether you are wanting to create an executive summary for a document or you just want to get the gist before diving in, wouldn’t it be helpful if your computer could do the skimming for you? The Mac OS X operating system and Microsoft Word on Windows have little-known summarizing tools that can do a pretty decent job of giving you the key points of a document or block of text. 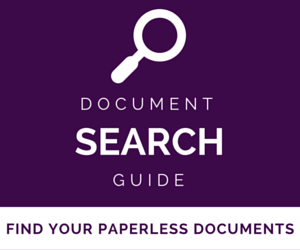 Enter your name and email below and I'll send you my FREE 4 Ways To Tame Your Documents guide. 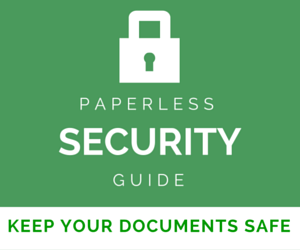 Get your documents under control in 4 easy steps. Sometimes there are hidden features in the nooks and crannies of the Mac operating system, and Summarize Text is one of them. However, before I show you how to use it, we have to check if it is set up first. Do You Have Summarize Enabled? 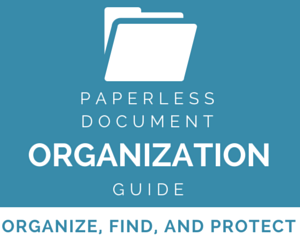 Open up a searchable PDF in Preview, a text file in a text editor, or a website in Safari. Highlight some text and go to the Services menu. In this example in Preview I will go to Preview and then Services. Do you see Summarize in the list like this screenshot? If not, you’re going to have to enable it. From that same Preview > Services menu, click Services Preferences. 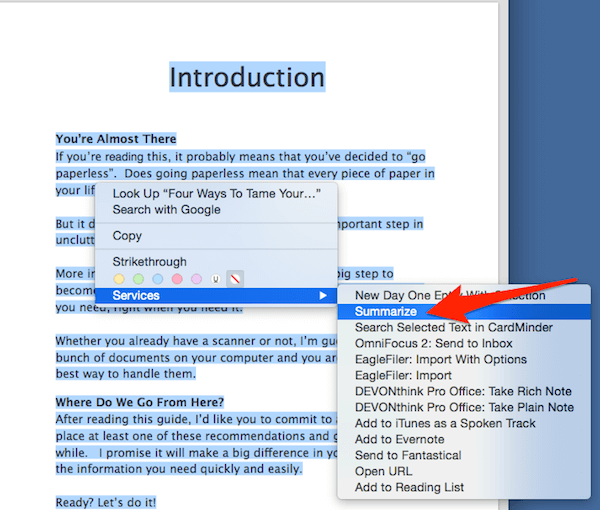 In the right pane, scroll way down to the bottom of the Text section and you should see Summarize there. Check it to enable. Back in whatever application you were just using, highlight the text you want to summarize or Select All if you want to do the whole document. 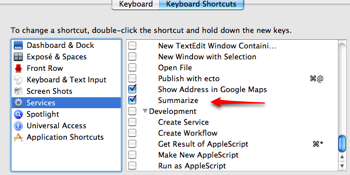 Right click on the text, and you should see Summarize (it may be buried in a Services submenu). Click it and it will open up the Summary application. Your text will now be summarized, but it doesn’t stop there. By default it shrinks it by about 80%. You can move the slider to make it bigger or smaller, so you can go way down to 1–5% and get a super short summary. But you will probably get the best results at around the 25–30% mark. Once you have things how you like them, you can either read the text there in the Summary application, copy & paste the text out, or save it as an RTF file. While Windows users don’t have this functionality built into the operating system (as far as I know), a similar function does come included in Microsoft Word 2003 and 2007. Here are Microsoft instructions for AutoSummarize. Unfortunately, AutoSummarize was removed from Word in Word 2010, and hasn’t been seen since. Hopefully it will make a return someday. I can see myself using text summarization when I have a long document to read and I want to get the key points before digging in. How about you? Leave a note in the comments if you think this feature would (or wouldn’t be) useful and how you’d use it. The Word summary feature was really useful. Hopefully it will be restored. I keep an old computer with an older version of Word so that I can still use that feature. 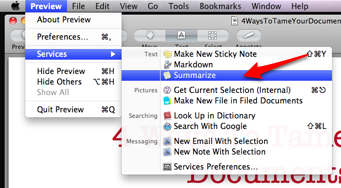 I would very much like to see the summarize feature back into word. I really need to use it to help my students who are learning disabled and need accommodations or modifications. THANK YOU! This steps are very helpful ! 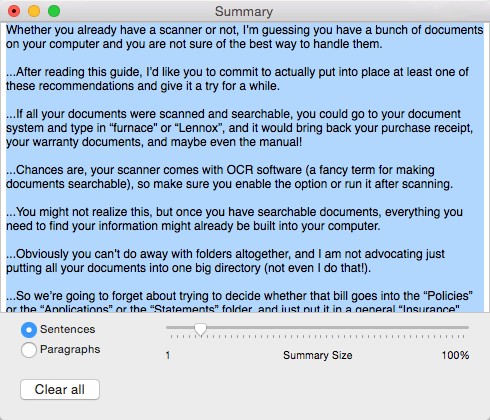 In the new mac update with os x el capitan, does it remove the summarize feature? down now, publisher EA has released a new gameplay trailer for the upcoming title. as their favourite characters from the game. Miami Beach Resort’ does not have any crops to harvest or hour-long building construction that will make you babysit the game. 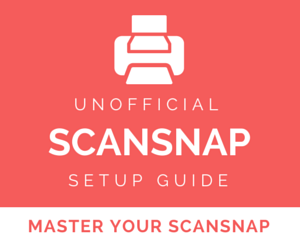 this is a really useful tool for creating abstracts of your papers. excellent tutorial, thanks! Thank you, you have saved me so much time. Thanks a million! 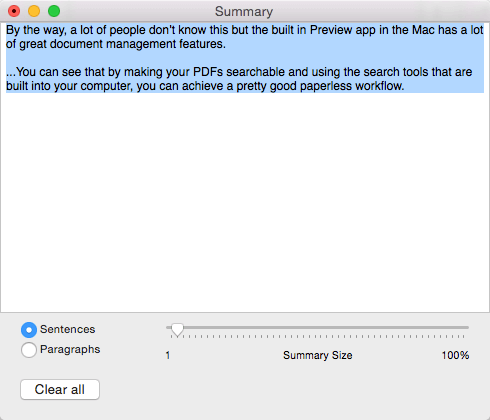 I didn't know my mac can do the summarize. Terrific for teaching! How to double check a lesson plan or lecture notes. Write it up, then run a summary– see if you hit all your points and didn't get lost in the forest. That's a really good point about teaching.. I didn't think of that. Thanks for the idea!